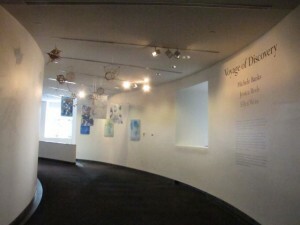 Finally, after about a year of collaborating, Michele Banks, Ellyn Weiss, and I have installed Voyage of Discovery at the AAAS (American Association for the Advancement of Science) in downtown DC. All three of us create work with scientific themes, so a joint venture seemed a logical and exciting prospect. 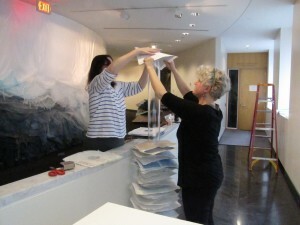 We were thrilled when the AAAS accepted our proposal and gave us the time and freedom to pursue our ideas for an exhibition contemplating the possible effects of global warming/climate change on polar regions. We called the project “Voyage of Discovery” to pay homage to the scientists (Darwin, Haeckel, and others) who have explored the globe in search of new life forms and to gain a greater understanding of the world around us. Also, this project was our own voyage of discovery, as we did research into recent changes in polar regions and delved into new media and means of expressing our reactions to the information we absorbed. We all work in different media and with different aesthetic sensibilities. Collaborating was exciting and rewarding, and yes, sometimes challenging. 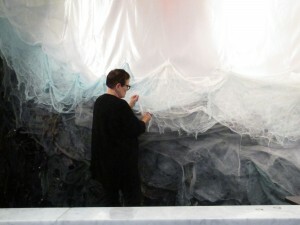 What we produced, in the end, was a show that includes two collaborative installations and series of our individual work. Michele and I assemble Core Drill Spill, which includes approximately 2,000 recycled plastic bags gathered from, among other sources, AAAS staff. 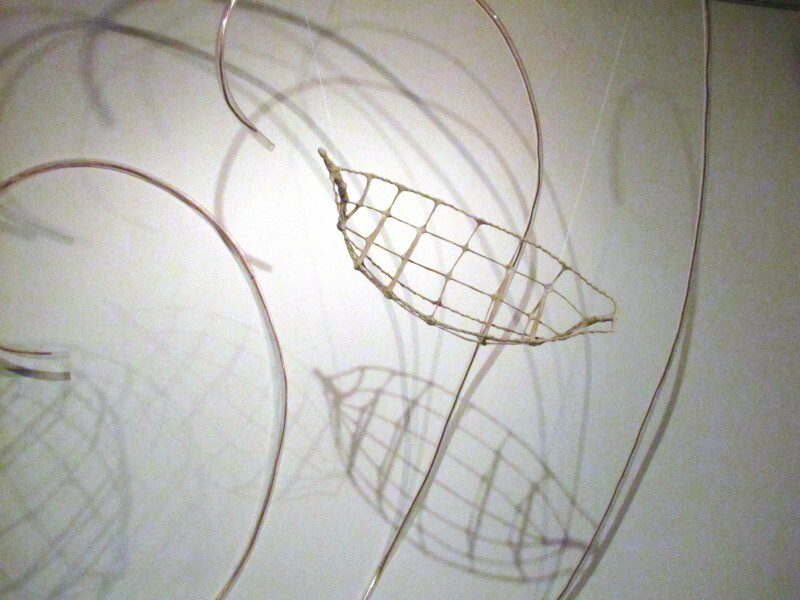 The show is open from January 22 through May 31, 2014, in the main lobby gallery at the AAAS building in Metro Center, DC – 1200 New York Avenue, NW. The building keeps regular business hours – Monday through Friday, 9 – 6 – so no evenings or weekends. Some of the work is viewable through the windows from the street, however, including the 9 x 24 foot wall installation Waning Albedo, Michele’s ink-on-Mylar paintings (attached to the windows), and my hanging radiolarian sculptures (through windows near the front door). More posts to follow about specific work in the show. Enjoy! This entry was written by beelsebub, posted on February 7, 2014 at 2:36 pm, filed under General, New Work, Science-themed art. Bookmark the permalink. Follow any comments here with the RSS feed for this post. Post a comment or leave a trackback: Trackback URL.